In feng shui applications, things that bring good luck and fortune, such as Chinese good luck charms can be used to enhance your best directions for wealth, work, sleep, marriage, family, health, and so on. A list of Chinese lucky charms that work will help you find the ones you need to weaken shar (bad) chi and strengthen good chi in your home, office, or garden. You want to also consider what material is used for the charm, such as metal or wood, before attempting to use it as a cure for an afflicted feng shui compass direction. The abundance of good luck symbols ensures that you can find one you'll like. You can select from Chinese lucky charms meaning good health to you and others that bring a long prosperous life. You can use two lucky objects together, such as one for a long healthy life and another for a prosperous life. Most of the things that bring good luck and fortune also bring wealth. Everyone wants to be happy, and most of the feng shui symbols work by themselves or in combination with other symbols to manifest both. Mystic knot: This is the best lucky charm for money and is created by tying six infinity knots (a figure 8) together. 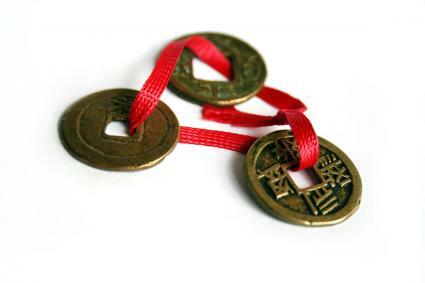 You can find these tied through coins, charms, amulets, and other feng shui symbols and good luck items. The mystic knot brings never-ending good fortune and a happy life. They work best when placed in southwest or southeast sector. Fu dogs: These Imperial Guardian Lions were placed outside homes of the wealthy. They served as status symbols of the Imperial palaces and temple and protectors. Place a pair outside the front entrance of your home to protect against burglary and theft. Turtle: The turtle protects your home with powerful energy of everlasting abundance. Pine tree: Symbolizing the strength and ability to survive hardships, the pine tree also bestows the same traits to you. Crane: The crane is a favorite symbol of harmony and long life. Peach: The peach offers protection and longevity. If you're seeking symbols that bring good luck to draw the energy of abundance and prosperity to you, then theses charms will aid you. Place any of these good luck symbols for money in the indicated feng shui good luck sector of your home and office. Red envelope: Ang Pow (Red Envelope) was a brave young man who killed a dragon that was terrorizing his village. The villagers collected money and placed it inside a red envelope, and they gave it to him out of gratitude. The modern versions have one coin inside a sealed red envelope that's decorated with various symbols of blessings, good fortune, and prosperity. Carry it in your purse or place it in the southeast sectors as good luck items for money. Chinese coins: Wealth is often symbolized by objects like coins. Use only coins minted during the reign of a good emperor. 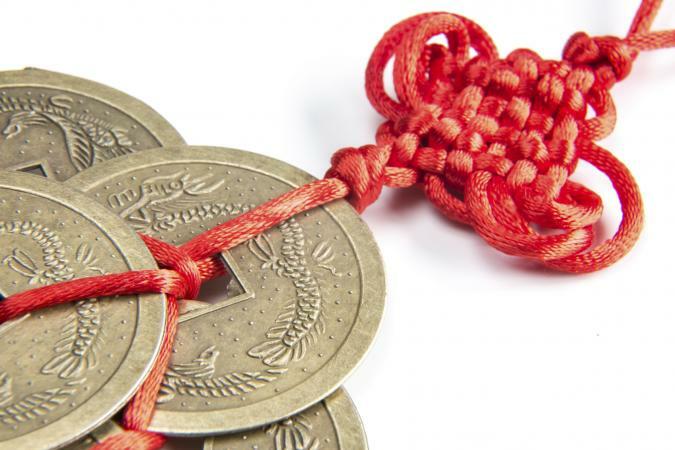 The coins are often tied together with a mystic knot as good luck symbols for money. Place in the southeast. Three-legged toad: The three-legged toad is very auspicious for attracting wealth. Many of these statues come with a Chinese coin in the toad's mouth. Make sure the coin side with the Chinese characters is facing up. Place the toad in the southeast sector, facing into the room, and never facing an outside door. Dragon: The dragon (yang) charm brings career luck your way. It strengthens your position within your company and imbues leadership qualities in you. Place in the north sector. 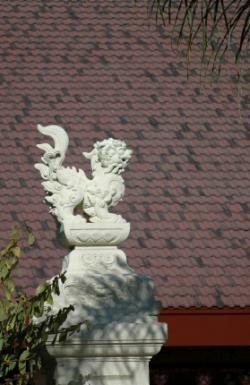 Phoenix: The phoenix is a remedy whenever used with a dragon to balance yin and yang energies. The phoenix (yin) helps create a new life by rising from the ashes. It is great for south sector for fame and recognition luck. 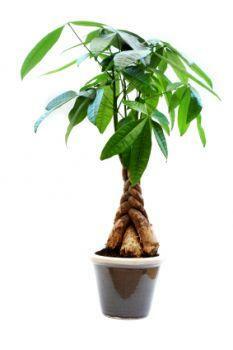 Money tree: This plant has round leaves that resemble the shape of coins. Place in east or southeast sector of your home. Goldfish: The goldfish is used to attract money like a magnet. It is a great gift to someone you wish will receive abundance and wealth. Place it in the north or southeast sector of home. Laughing Buddha: The happiness and spiritual wealth of the Buddha grants you material wealth. When placed in the west sector, laughing Buddha good luck statues grant health and wealth to your children. Crystals: Crystals placed in northeast sector ensures success in educational matters, especially all types of exams. A happy home means good relationships. These objects that bring good luck in the house can help sustain your relationships. Place any of these in the southwest sector of your home or bedroom to ensure love continues to grow. If you're seeking a spouse, what brings good luck in love and relationships with also help you to attract true love. Mandarin duck: Place a pair of statues in your bedroom or pictures of two ducks on your bedroom wall. Red lanterns: Suspend red lanterns around your bed to bring martial good luck and longevity, especially if you're newlyweds. Peony: This flower promises longevity of your marriage. Use a photo, painting, or ceramic peony in your bedroom to activate. Rose quartz: Wear rose quartz or place in your bedroom for love and passion. If you need a little extra boost for success in business, education, or another endeavor, a good luck charm can help. Business: The ox is a sacred animal that's believed to grant wishes. Place one in north sector of home or office as a good luck charm for success in business. Scholastic: Wear or carry a charm featuring scholastic symbols of good luck, such as the carp, dragon, dragon horse, or Chi Lin. Love: If you're seeking love, it's time to break out the double happiness symbol to ensure success. Coins: Use a three-legged toad with a Chinese coin in its mouth or three coins tied together with a red ribbon for auspicious symbols of wealth. Cinnabar: Chinese luck charms carved from cinnabar will absorb and transform any negative energy that may be blocking the sell of your home. Jade: Select a good luck charm, such as a laughing Buddha or dragon carved from jade. Birthstones: Wear your birthstone in a piece of jewelry or a keyring. Chinese zodiac sign: There are many ways you can use your Chinese zodiac sign (animal), such as a pendant, wall art, or keyring fob. This can also serve as a guardian animal to protect you. Kua number: The kua number is one of your most powerful good luck symbols. You can wear or carry your kua number, display it in your car, or place it on your home office desk as a powerful good luck symbol. Lucky bamboo: This plant has many good luck meanings, depending on the number of stalks in your arrangement. Grow your luck by setting it in the east or southeast sector of your home. Gold ingot: Place gold ingots in the southeast sector of your home or office for luck in wealth. Turtle dragon (dragon tortoise): A turtle dragon in the north sector of your home or office attracts wealth and success. Elephant: You can place an elephant with an upraised trunk to trumpet success in any good luck sector. In feng shui, a good luck charm symbolizes the energy you want to attract to a specific area in your life. You can select personal types of charms, sector specific, such as career or general good luck symbols. Some good luck charms can be selected since they deflect and repel negative energy, such as Dzi beads. A lucky charms list must also take into consideration the five elements that govern each direction. For example, the element of the north direction is water, west and northwest are metal, east and southeast are wood, southwest and northwest are earth and south is fire. The benefit of using the charm is more powerful when the charm material is compatible with the element assigned to the sector you want to use it in.